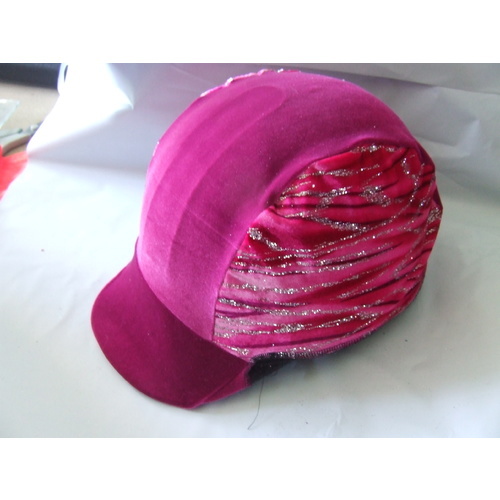 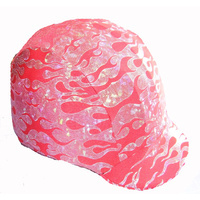 Ecotak Lycra Helmet Cover - Pink velvet silver glitter. 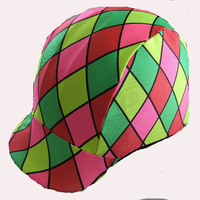 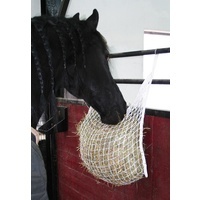 Ecotak Horsewear has a large range of lycra helmet covers available. 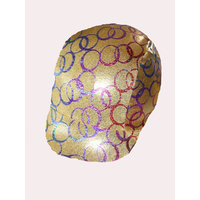 A lycra helmet cover is the perfect way to personalise your style. 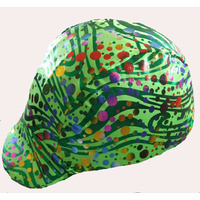 In addition to being fun & distinctive they are a great way to protect your helmet as well as stand out in the crowd. 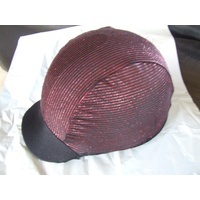 Made from a 4 way stretch quality nylon lycra in a 3 panel design for a more tailored fit. 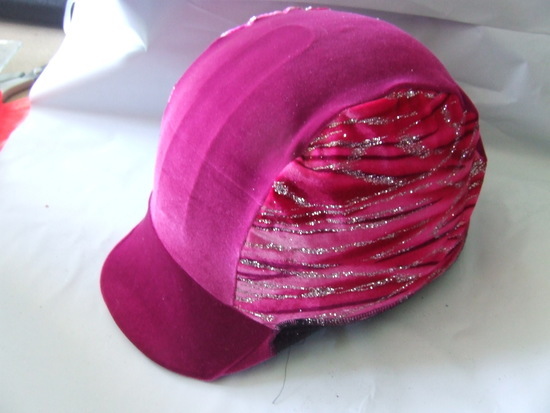 All seams are overlocked for lasting durability.